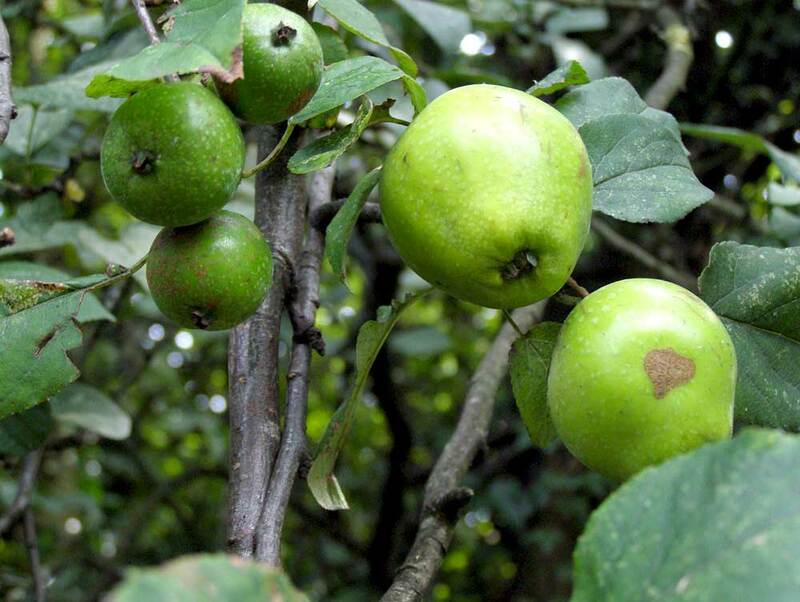 Wild fruit can be found in many of the hedgerows in the parish; some are native fruit trees such as Crab-apples and others have grown from pips that came from discarded apple cores. 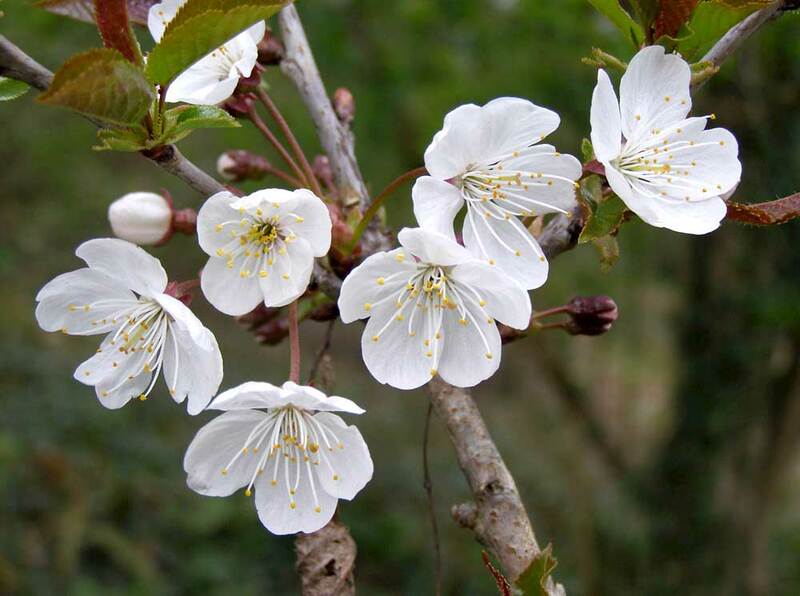 These are being supplemented by plantings of Crab-apples, Wild Pear (Pyrus pyraster), Wild Cherry and Bird Cherry in various locations. Crab-apples once grew commonly in our hedgerows but need to be distinguished from 'wilding' apples which came originally from the Tien Shan area of Asia and have given us our sweet apples. The Crab-apple is small, bitter and has spines. It is not believed to hybridise with the sweet apple. 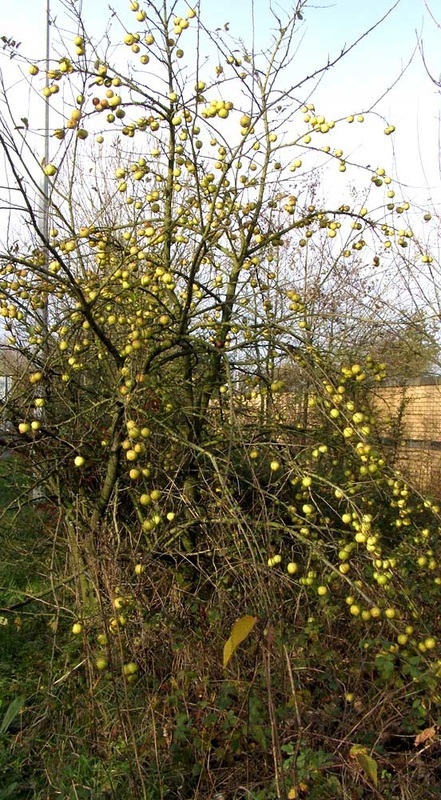 Wilding apples can often be seen alongside motorways and railway lines and many other examples can be found locally in the hedgerows. Whilst the true Wild Pear, Pyrus Pyraster, has been planted recently in our nature reserve and the Wild Orchard, one example has been found growing in woodland which could possibly have come from a nearby nursery and is probably several decades old. 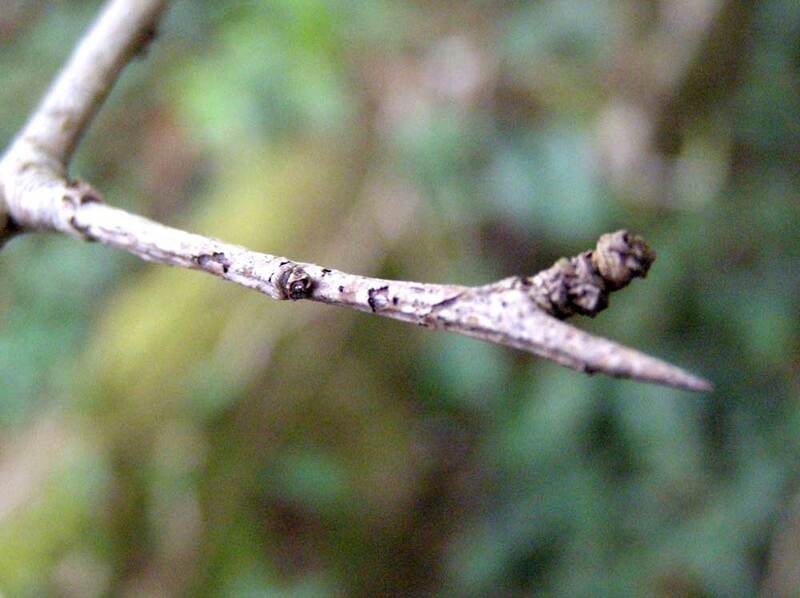 It has the characteristic small, very hard fruit, and displays spines on the branches. Nearby are some wild plums.